Hello, hello! Before we start the party I want to invite you pop on over to ENTER TO WIN one custom 16 x 20 Message Center Calendar. The giveaway ends on Friday, Winner will be announced on Saturday, July 21st. 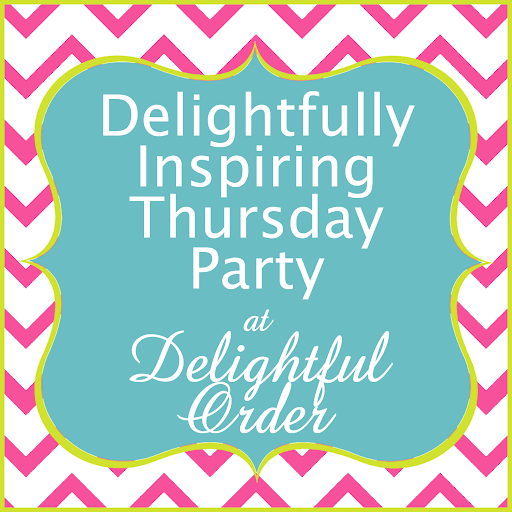 Now lets move onto the Delightfully Inspiring Thursday Party! Yay! Thanks for the party! Today I've linked up my lavender lemonade. Thanks so much for hosting! Have a great rest of this week! Thanks for hosting another great party. =) I linked up the Lovely Lavender Wreath. I just became your newest follower! I love your site....thank You SOOOO much for hosting the linky party. I posted my garden bench there! I would love it if you would follow me over at Deja Vue Designs!